We have two different products in our long distance measurement range of products. The range includes API laser trackers as well as the 3D Disto product from Leica Geosystems. Laser trackers measure X,Y, Z coordinates of points in space and distances between points up to 80 metres away from the measuring instrument at incredibly high accuracy – less than 0.4 mm at this distance, using laser interferometers and time of flight systems. The 3D Disto is a different instrument in that it is using laser beams to determine the distance from the instrument to a laser point on a surface or wall with millimetre accuracy over a 50 metre range. The range of laser trackers from API include both the Radian and the OmniTrac 2 systems as well as the new OT2 Core entry-level system. The Radian laser tracker sensor weighs only 9 kg and has both Interferometer (IFM) and absolute distance measurement (ADM) technology built in and is powered by a small light-weight external controller. The OmniTrac 2 is an ADM only laser tracker with range up to 200 metres with special targets and operates completely wireless with a built-in battery and no external controller. 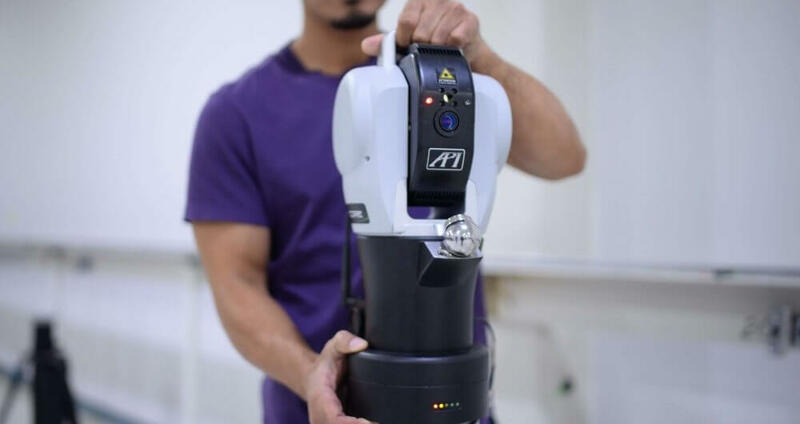 The Leica 3D Disto instrument is a system for measuring distances and creating 2D and 3D CAD data for builders, kitchen renovators and other professionals in order to accurately mark-out and fit complex shaped fixtures and fittings in buildings, stairwells and in door openings.